The Rikuu Ranking Tournament is an exciting event as it gives players another chance to acquire Rikuu as well as obtaining a Crown. Scoring at or above the 26% threshold will yield a Rikuu while 6% will guarantee a Crown. Depending on your personal goals and puzzling skills, both rewards may be obtainable and I wish to share my Crowning strategy with you. Zeus Verse requires players to have 3 heals/full damage voids to maintain their health at 100% in order to waltz through the dungeon. I do not own an Amaterasu so I utilize the Ganesha to void the 99% Gravity from Hino on Floor 5. In addition, I use Water Resist to reduce the damage from the Cat on Floor 8 to ensure I can heal back to full. In hindsight, I could have just used the Light Metatron Weapon Inherit but this also works. For the most part, you can simply 1 combo each floor and this ensures a faster clear time and a higher score. Of course, there is some luck involved, but this set up helped minimize the failures and my highest score was achieved with only a few runs. The Rikuu Ranking Tournament is an exciting event as it offers generous rewards at what is arguably the most generous rates possible. Let me know what you used for the Tournament and how well you have placed. The December 20th maintenance comes with new evolutions, buffs to various cards, and improvements to existing dungeons. 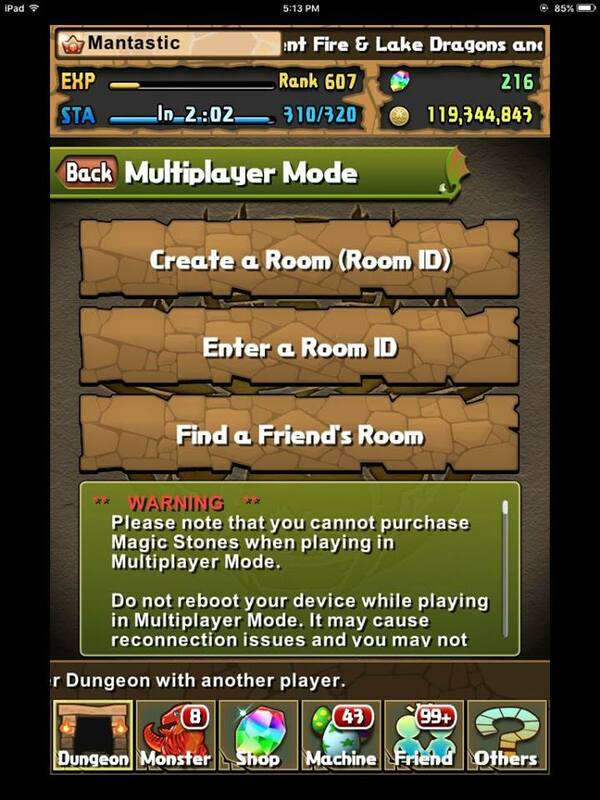 This article will summarize all the major changes and help provide insight on their impact in Puzzle and Dragons. New evolutions are some of the most exciting aspects of Puzzle and Dragons as it breathes new life into old cards. Despite the need for Powercreep in any longstanding game, GungHo does a good job of recycling old cards back into the meta instead of only releasing new monsters. I have compiled all of my clears across my two accounts in solo mode to showcase how these teams play and the general strategies used to overcome the various hurdles presented in the dungeons. It was nice how they gave us a nearly 100% farmable team. How do I feel about the poison meta? Hel no. It was strange playing a colour cross leader. It was also amusing to see an Odin Dragon and his ridiculous autoheal awakenings. If you are playing this in coop, you can tank the Limit Break enrage hit from the boss and simply go for the one shot on the first turn. It is somewhat sad how dated Neptune Dragon has become with powercreep as his multiplier is so low considering how many orbs you have to chain together. Hopefully his future evolution will grant him some relevance. Probably the only time you will ever see a hypermax Sphinx but it was valuable for executing the Tan on the first floor. The fixed challenges gives players the opportunity to play leaders that would otherwise be unobtainable along with enjoying a fully invested team. I hope GungHo continues to provide more fixed team challenges as it is a lot of fun to experiment with new playstyles as well as granting lower rank players the opportunity to clear variuos dungeons. In an attempt to showcase a wider variety of leaders and more solo content, here is my Arena 1 clear with Tsubaki . I have been lucky/unlucky with the REM in that I tend to pull numerous duplicate cards; however, this ends up working in my favour as Tsubaki is an amazing sub on her own team. She comes with the ideal awakenings along with a 7-turn active that provides haste. This allows me to form a system and I could use 1 Tsubaki active every turn while simultaneously charging up two other cards. There is going to be a split evolution for Tsubaki in the future that makes her a stronger leader and sub so that is something to look forward to. Presently, Tsubaki is a 76.56x ATK leader with no defensive multipliers (will gain 2.25x RCV in the future). This can prove challenging to use as you are vulnerable to large preemptives (I was gambling on no DQ Hera spawn) and even stalling can be a challenge with the low base recovery. Thankfully, the +25% RCV badge is a lifesaver along with having every heart orb come enhanced. Damage is also not an issue outside of the Kali stage or perhaps Hera-Is (Water Hera). Gaining 5.5x ATK from Silk is simply amazing (0.15*30 + 1) and was able to one shot Kali through her shield. On the other hand, the team is risky to play as you are vulnerable to mechanics and I was somewhat fortunate to not encounter anything too dangerous towards the end. I had a small heart attack on the Tamadra floor as my leader got bound twice and Gadius failed to produce 6 heart orbs. Tsubaki is a fun and fast paced leader to play when you are able to utilize numerous duplicates. This allows you to have countless enhanced orbs along with ample access to haste to keep the actives flowing. I look forward to her split evolution and future buffs in the upcoming months.